Vizcaino – Serra Oak Mural is a beautiful new addition. Historic Monterey is the Cradle of California, the capital under Spain and Mexico. 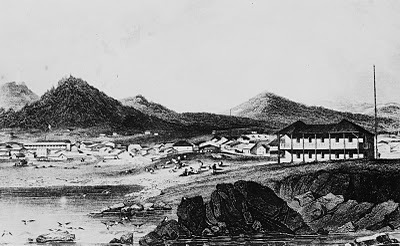 From the native Rumsien, through the Spanish explorers and padres, Mexican independence and the Californios; from the Chinese, Japanese, Filipino and other visitors from Asia; from the American Conquest of California and the writing of the California Constitution – Monterey has seen it all. Take the time to explore up close and on foot. Visit the sites and old adobes and hear the tales of the people who settled California and historic Monterey.